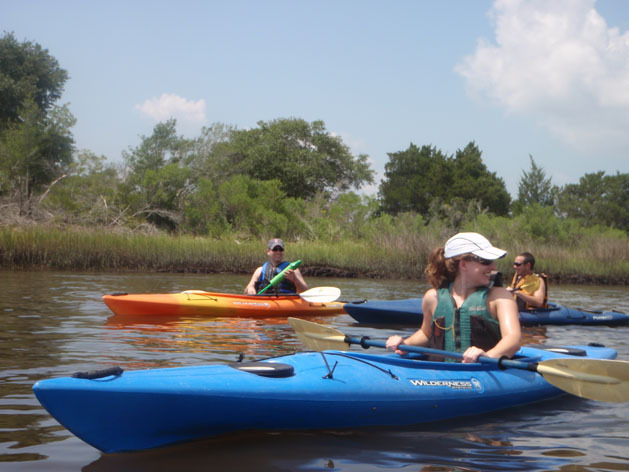 Kayak Charleston tours are a unique and personal way to experience Lowcountry rivers and streams, rice fields and wildlife in the Charleston area. 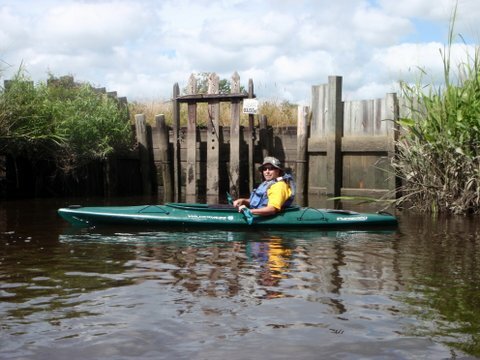 Trips use river currents and tides so that paddling is easy and enjoyable for all levels of experience. The descriptions below highlight a selection of the many trip destinations that can be created for your unique experience. 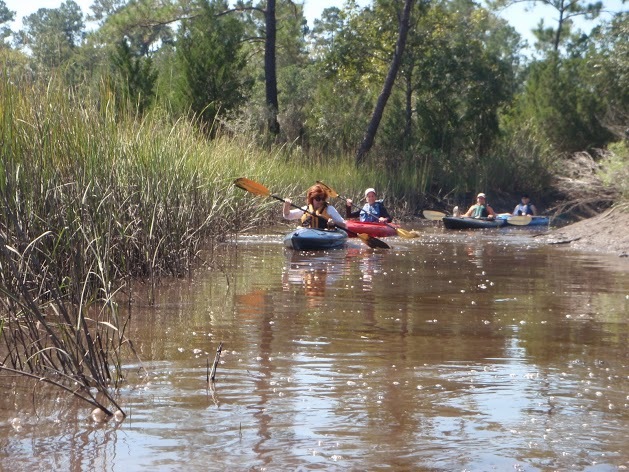 The Ashepoo, Combahee and South Edisto (ACE) Basin represents one of the largest undeveloped estuaries on the east coast of the US. 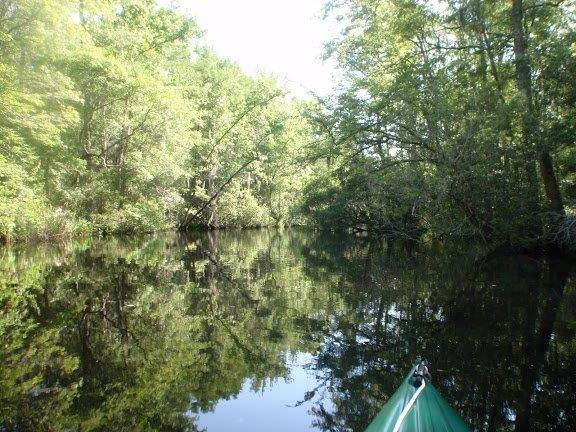 The trip follows the gentle waters of Horseshoe Creek in the heart of the ACE Basin. 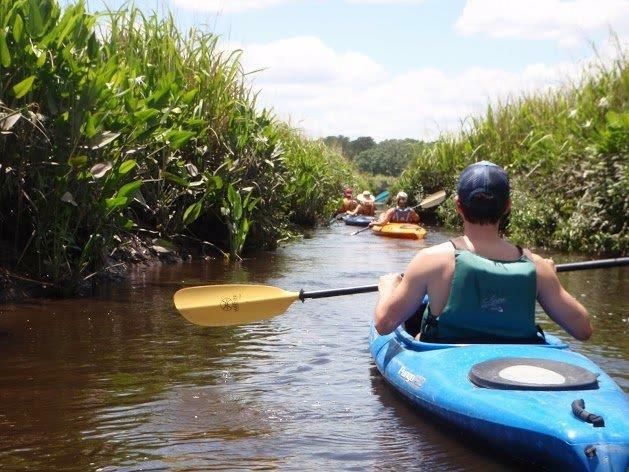 We paddle upstream under a shady tree-lined canopy or downstream to view the rice fields and salt marsh habitats. 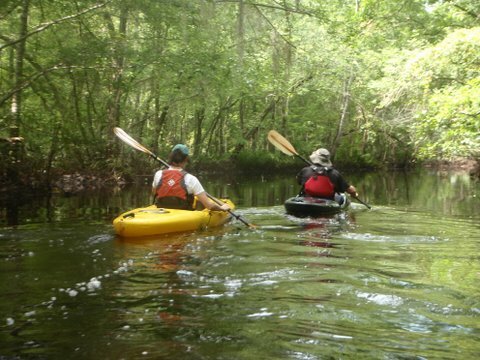 Throughout the trip the scenery changes from the Edisto River and its marshes to the forested areas along quiet Penny Creek. The highlight of this trip is paddling through a rice field canal once used as an irrigation system for the lucrative rice culture. Rantowles Creek is about 15 minutes south of downtown. The creek is narrow and passes through salt marsh.. Along the way, we'll stop at a sandy island and get out for a break and, if it is warn, we can swim. We should see many shore birds, and, if we're lucky, we may see dolphin in the creek close to where it intersects with the Intra Coastal Waterway.